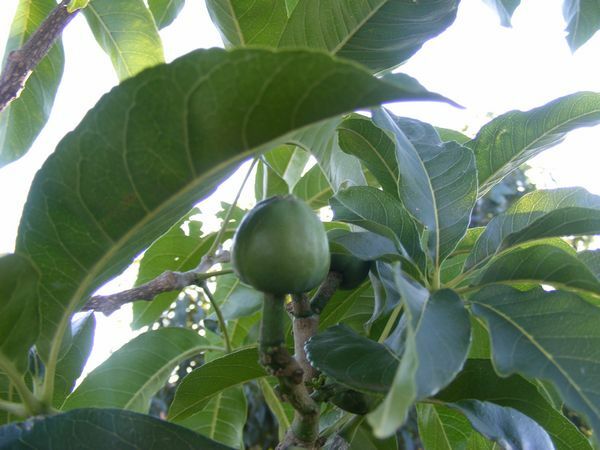 White Sapote is native to the highlands of Central Mexico and was well known to the Aztecs. 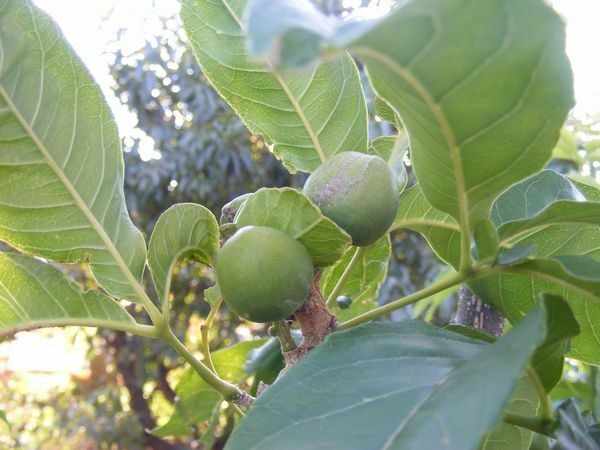 It is a subtropical to tropical fruit that prefers a climate with moderate humidity. In temperate regions it must be planted in a sheltered, sunny space. It is a medium to large, evergreen tree with a drooping habit - the long branches can almost touch the ground. White Sapote has a large tap root system that requires deep soil. Small flowers are formed in large groups and may occur off and on a few times per year - with fruit ripening 6-8 months later. The ripe fruit is perishable and must be refrigerated. It may be frozen whole, as pieces or as a pulp. Taste is not affected after thawing and may be used like fresh fruit. Eat fresh - it is primarily a dessert fruit and tastes like vanilla custard mixed with creamy banana and peaches. The soft fruit may be halved and scooped out. Combine with milk to produce ice creams, milk shakes and pies. With added lemon or lime juice, the fruit makes a good jelly and sherbets. Pick fruits as they begin to soften – do not wait too long as fallen fruit tend to smash when they drop due to their soft flesh. Color on maturity ranges from dark green to yellow – will lighten a shade when ready for harvest. The leaves, bark and seeds contain the glucoside “casimisrosine”, which lowers blood pressure. In large doses, glucoside acts as a sedative, and alleviates rheumatic pains. It has been reported that a tea produced from the leaves would induce sleep within an hour. White Sapote is very sweet (27% sugars), highly nutritious, and rich in vitamins including A and C.
The pulp is smooth and has no noticeable fibre.